Happy Monday! I'm up on the blog today with Jane's Doodles - my last post for 2013! Where does the time go? 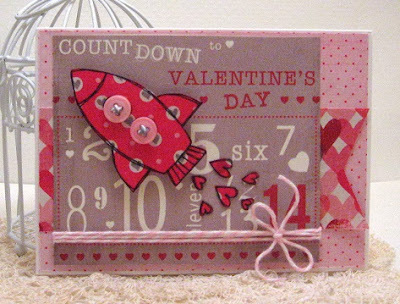 Two more days until Christmas and here I am showcasing a card for Valentine's Day using this fun image - "Love Rocket". It's about this time each year that I am ready for some pink and red! How about you?